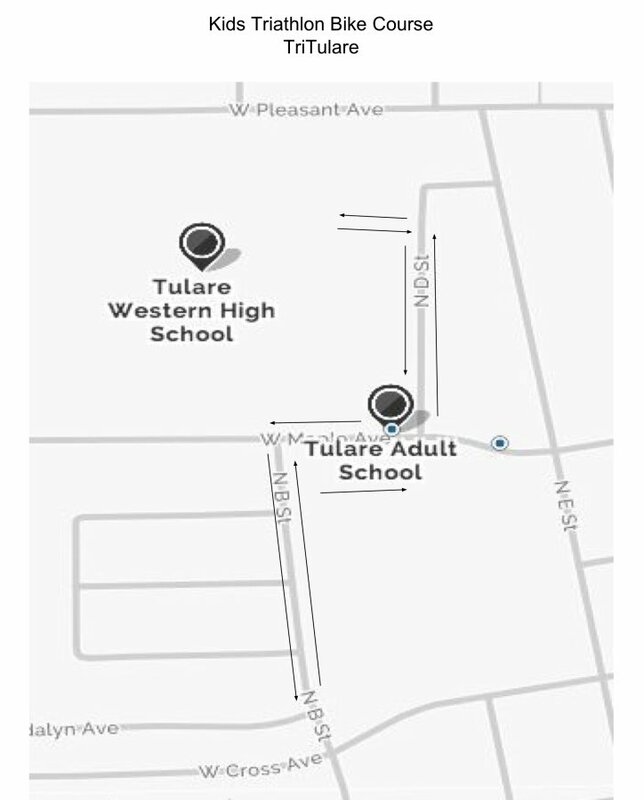 The hub of the course is at the Tulare Western High School pool and field area. Wave Starts: We are planning on 4 waves, two men, and two women. We may adjust these waves after sign-ups are done. Swim: The swim is conducted in a pool with lifeguards attending to every lane. 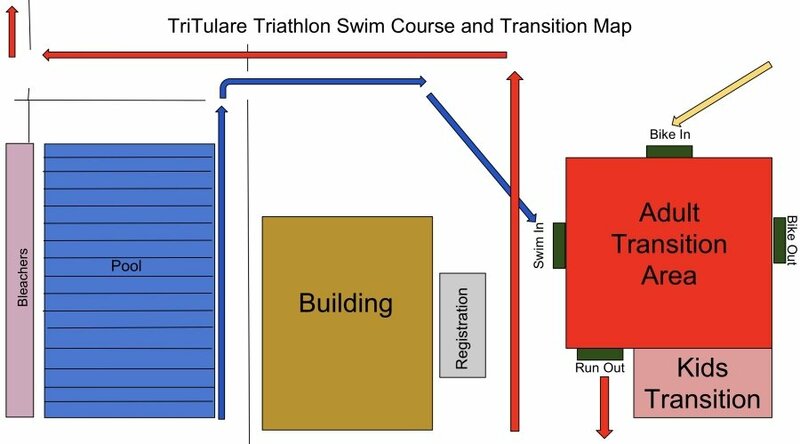 The athletes will share a swim lane. 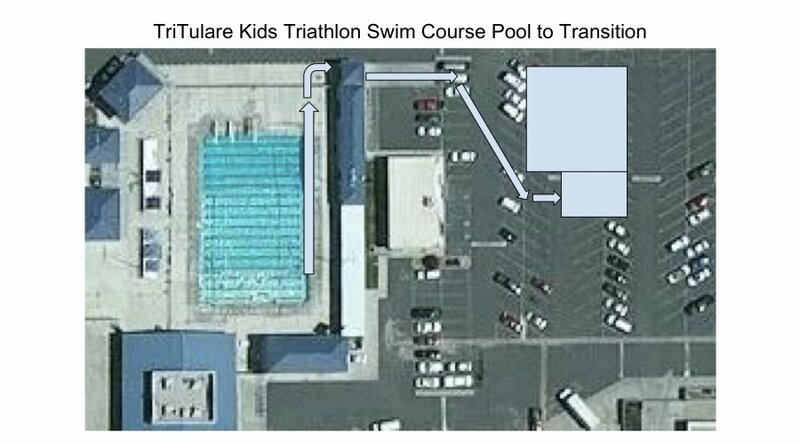 The athletes should swim up and down the lane hugging their side of the lane line. 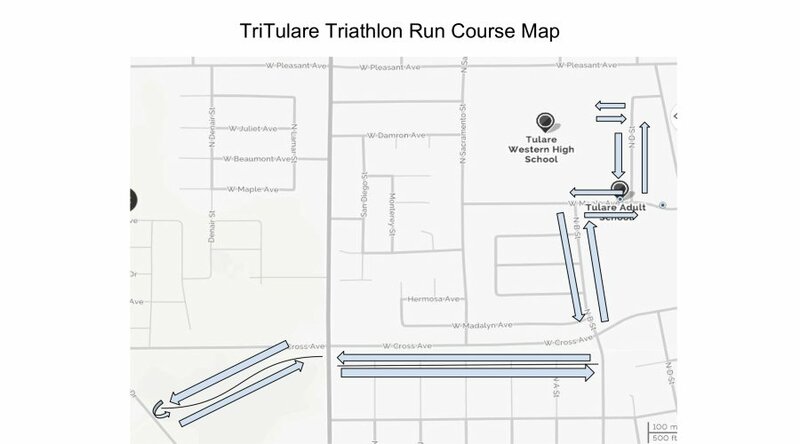 Bike: The bike course takes place on the roads surrounding the Tulare Western High School. Traffic control at all major intersections. 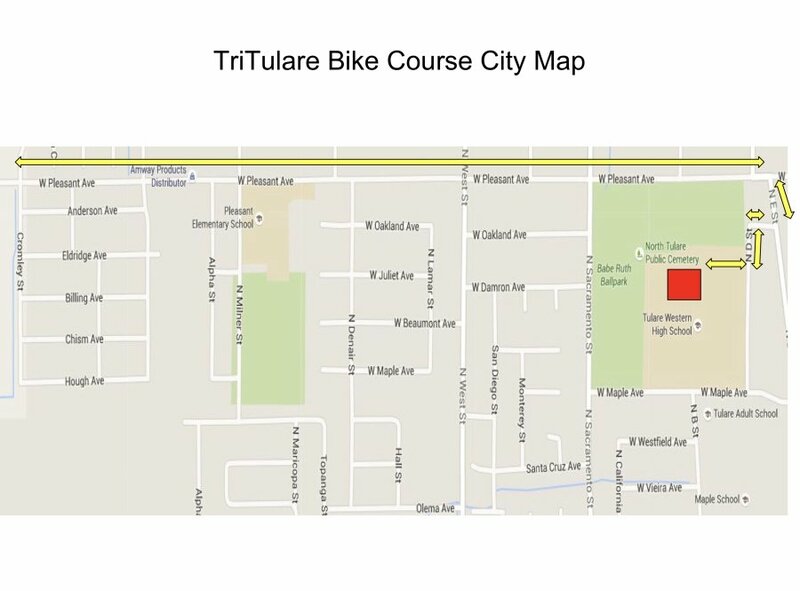 This will be an open bike course. 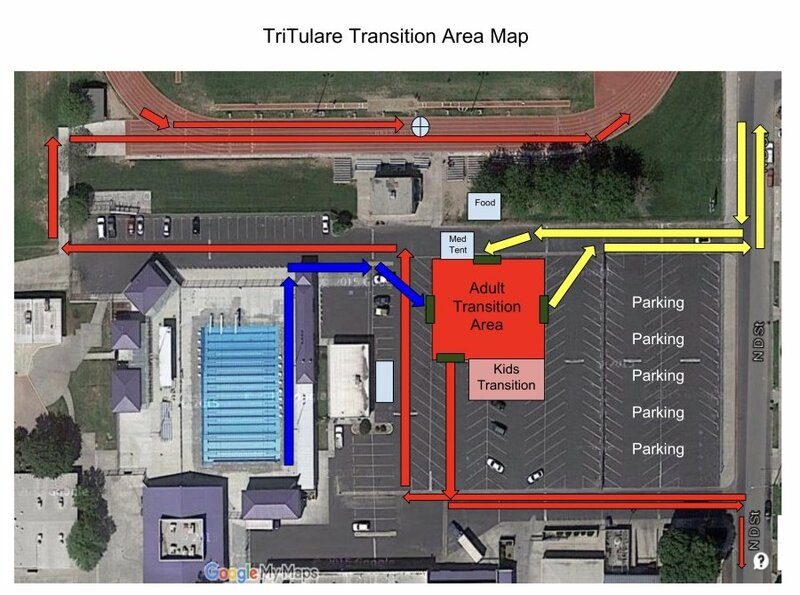 Run: The run begins at the transition area, and is a combination of street and trail run. 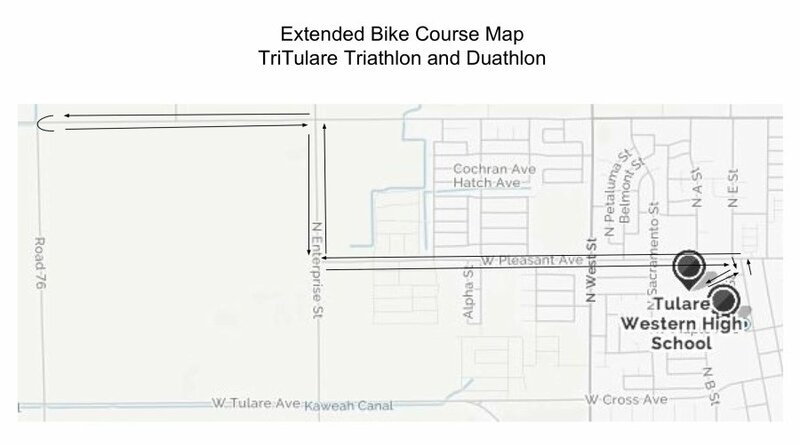 Traffic control will be provided on major intersections (2) of the run course. Awards: A finisher award will be awarded to all Sprint Triathlon and Duathlon finishers. Kids Race participants will also receive a finisher award. Duathlon: Awards will be issued to the first, second, and third place finishers for the males and females. These will be overall awards. 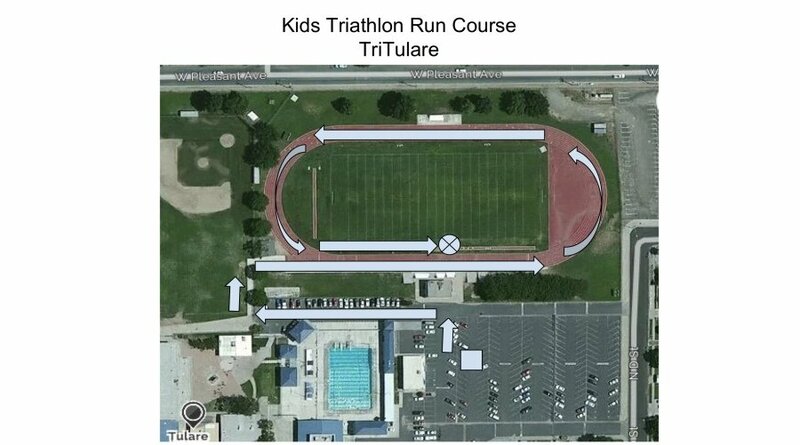 Kid's Race: There are no place awards for the kids race, as it is not timed. All kids race participants will receive a finisher medal. Post Race Food: Fruit, Bagels, Cream Cheese, Muffins, water for all participants. Race Photos: Race Photos will be loaded on to the web site and will be free for duplication for anyone that wants to copy them. The event is fully sanctioned by USAT.